iPhone lovers are waiting for new iPhone release information and its new spices features. Are you guys ready? Oh Yes! According to AllthingsD released news that the release of the forthcoming iPhone is scheduled for next month 10. Apple is going to release its new iPhone series in the next coming month. The news doesn’t show any particular iPhone release but if rumors are to be conceived then everyone are gonna to look the iPhone 5S – Currently, we are using old generation iPhone 5 and it might be possible Apple launch iPhone 5C as well. There is another rumor regarding iPhone is that it may be cheap version of iPhone to grab the low coast smartphones market. I don’t understand what remain to be disclosed is either the event is totally based on the forthcoming iPhone 5S or iPhone 5C or is there any other Apple news? 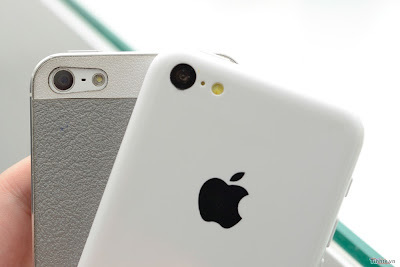 Possibly iPhone “5C” will also be launched, the famous rumored Apple is developing low cost smartphone for their users. I think Apple is wondering that it would be expand their market in low cost smartphones rather than go for high-tech mobile phones. If Apple releases iPhone 5C, definitely it would expand their mobile market but iPhone 5C is not very different from the present iPhone 5. Everybody saw the leaked images of the suspected 5C handset.